The word ingress means to enter or go into. The Aries ingress is when the Sun enters the first degree of Aries as it crosses the equator heading into the northern hemisphere. This event normally occurs around March 21 and can vary by a day or so. The tropical zodiac is used. 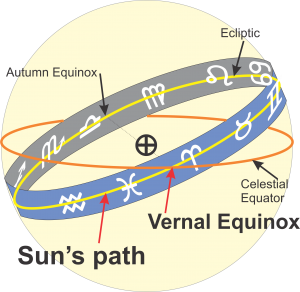 The Sun entering Aries and crossing the equator into the northern hemisphere is similar in principle to the birth of a new day when the Sun crosses the ascendant, except that it heralds the birth of a new year. The Aries ingress is the Spring equinox in the northern hemisphere, often referred to as the vernal equinox. One of the oldest, and in my experience most effective ways to assess the fortunes of a nation for the next 12 months is to use the horoscope for the Aries ingress set for the nation’s capital. Because longitude and latitude are taken into account the rising sign and the alignment of the planets relative to the houses will be different for every country. Because of this difference Aries ingress charts show the unique political situation of each country from an astrological perspective. However in Aries ingress charts the positions of the planets in the zodiac signs are exactly the same for every country on earth. It is their position relative to the houses which reflects the uniqueness of each national state. Because the positions of the planets relative to the zodiac signs is identical in each case, it is possible to describe the global picture from an ingress chart. In this case only the natural meanings of the planets are used without reference to their house meanings. The incumbent government is shown by the ruler of the 10th house and the opposition party is shown by the ruler of the 4th house. Planets within these houses reflect conditions within the two parties. Benefics show favourable conditions and malefics show difficulties for the respective parties. Ingress charts are often used to predict the outcome of political elections. An important consideration is the condition of the Moon and its next aspect. The Moon is generally used to represent the common people, although the ruler of the 1st house can also be used for this purpose. 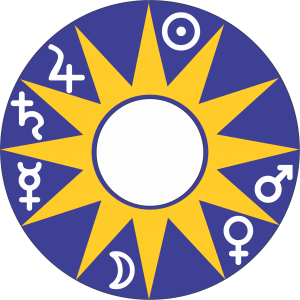 Lunar aspects to benefics or malefics describe conditions affecting the common people. The Moon‘s next aspect to another planet will show important shifts and changes.